Museo Slab is widely renowned as a robust slab serif. It is quite famous among ardent typeface lovers. The font has also incorporated the Museo’s affability. 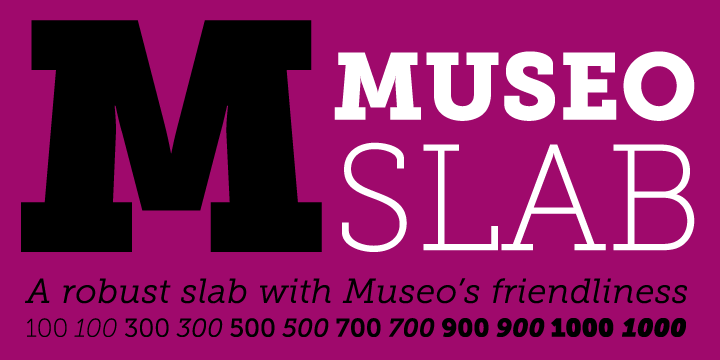 Created by Jos Buivenga, Museo Slab is an absolute match for Museo Sans. As a companion, it works really well for creating impressive letters. The best part is that Museo Sans can do many amazing tricks on its own.